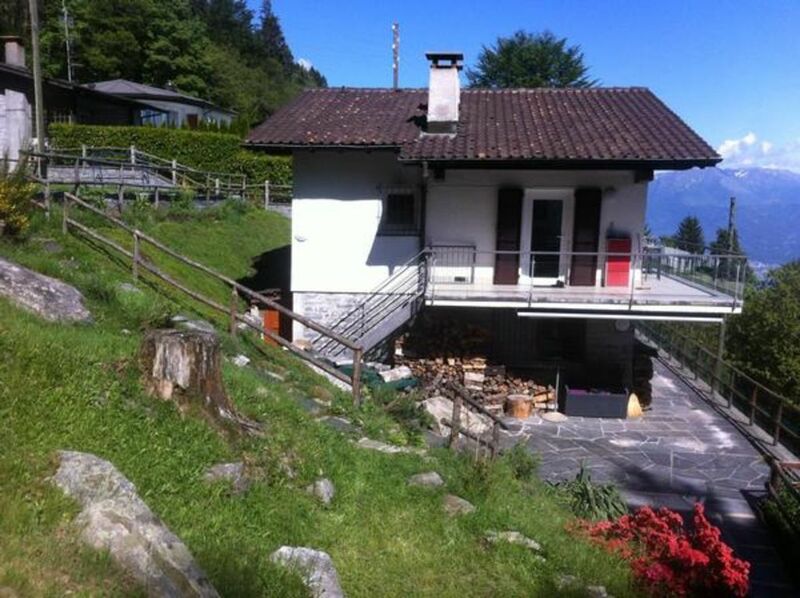 The Ticino Chalet located in the village of Monte Bre above Locarno and offers a wonderful panoramic view of Lake Maggiore and the mountains. It may be the apartment. 1 Floor for 5 people or even the whole house can be booked for 9 people. Pure nature, all day sunshine and a pleasant breeze characterize our small spa oasis. Here you can hike, bike, walk, paraglide, picking chestnuts, watching animals or just lie in the sun and enjoy the peace and views. From the car park a short walk through the garden to the house. The bags can be transported with the transport lift. The house has a large playground with trampoline and sandpit. Final cleaning: once per object costs in the amount of 95 CHF (obligatory). Bed linen: to be rented once per person for 20 CHF (obligatory). Monte Bre lies above Locarno at 1000m altitude. The small village is surrounded by meadows and forests and offers a fantastic view of the lake and the mountains. In the village center a small playground invites the kids to stay. The stopover Monte Bre cablecar Locarno - Cardada holds 4 times a day to order. Hiking, biking, mushroom picking chestnuts or ... an ideal place for lovers of active holidays.